If you have the desire to see the world and discover yourself, nothing can stop you! As you know, the sky is the limit. Although the love for travel is equally shared by all people across the globe, there lie certain limitations that individuals with disabilities may have to face during their travel experiences. However, this does not mean the end of travel. While some snags are bound to be which you can’t anticipate if you’re disabled, it is still possible to reduce them with careful and thoughtful planning. The world is huge and you can just not fall short of picking the right destinations for your comfortable and memorable travel experiences. Explore places that you would love to visit with much ease by gathering deeper insights about the terrains and routes of the destination/place at the time of planning and picking the right destination. Acknowledging the uncertainties of life, even the popular tourist destinations are making an effort to make the huge strides barrier-free. Germany is already demonstrating a good example of how it can be done. The nation has launched a nationwide accessibility standard and certification program. The country is proactively promoting nearly 185 accessible things to do and tourist spots/places to visit in its online brochures, thereby attracting disabled tourists to know their land and culture with reduced efforts and difficulties. Machu Picchu, the Galapagos Islands and the Amazon rainforest are also accessible trips that you can make. Yes, these destinations are in for the disabled travelers too. The addition of ramps at temples in Japan, a wheelchair stair climber lift at the Acropolis in Athens and an elevator in Roman Forum are a few efforts taken to make travel simpler for disabled travelers that one can see today. Yes, you can add these places to your list of travel destinations even if you are disabled or you’re travelling with someone with a disability. Hence, even if you feel that these cities are hundreds of years old and it will naturally be more difficult to navigate, don’t be mistaken by assuming that they are not accessible. In fact, connecting with a travel agent can get your work done with ease, especially if it’s a multi-country trip. 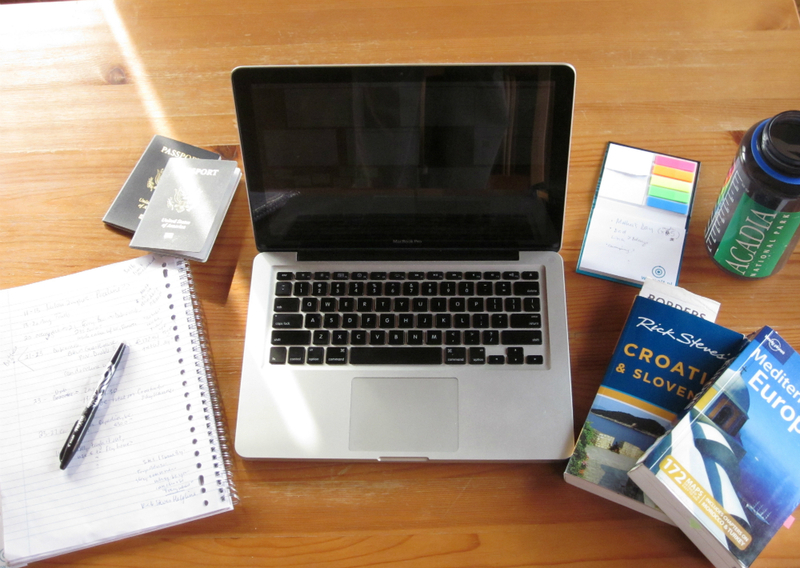 Research is a must for people who wish to orchestrate their own trips. This demands that you ask specific questions before you are set to start. This includes even minor things like inquiring about the width of hotel elevator doors; some are not wide enough for a wheelchair; when booking a cruise, check the cruise line’s policies about accessibility for disabled people across the cruise; some require passengers with disabilities to travel with a companion. Your research must include searching for travel destinations with varied keywords such as ‘barrier-free’ ‘disabled’ ‘handicapped’ ‘special needs’ or ‘reduced mobility’. 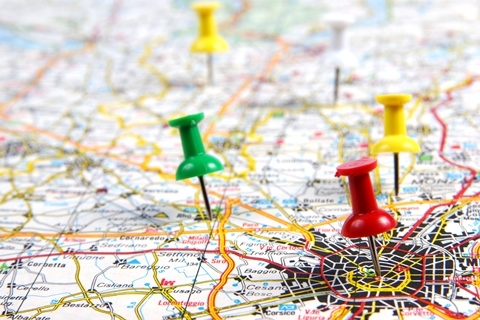 Since the terminologies vary from place to place, your research must also include these keywords to help you find and pick the right destination for your travel experience. We all know that planning a trip is a highly time-consuming task that only few professionals can help you carry out. Consulting a pro can help you with getting specialized travel agencies to provide you expert guidance and book flights, cruises, accommodations, tours, shore excursions and transportation for you without wasting much time. They have a great network and you can surely make use of it with a pro by your side. Also, ensure that you get your travel insurance made. One of the biggest hurdles for people with mobility disabilities is flying. Navigating through large airports, carrying medical equipment and navigating security check can be exhausting. 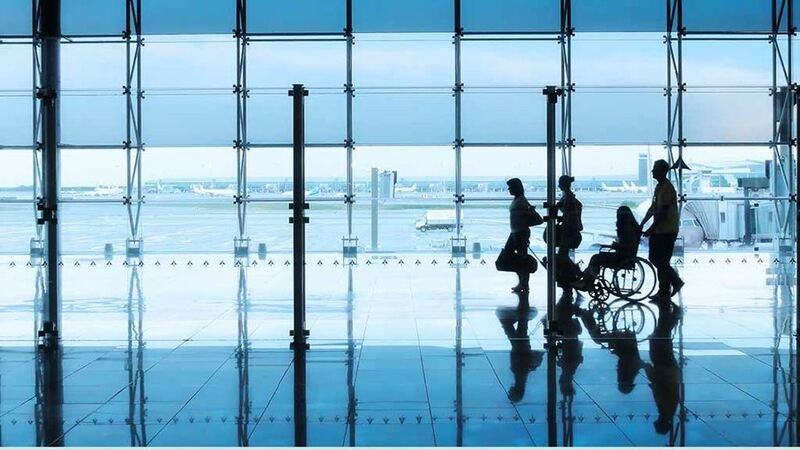 You must know that passengers needing extra assistance or the ones with mobility issues, should inform the airline when booking a reservation and upon arrival at the airport. Preparing for air travel is something you must focus on while planning your trip. Boarding wheelchair users first is something almost every airline does. However, these passengers exit the plane last. So, plan your connecting flights accordingly. 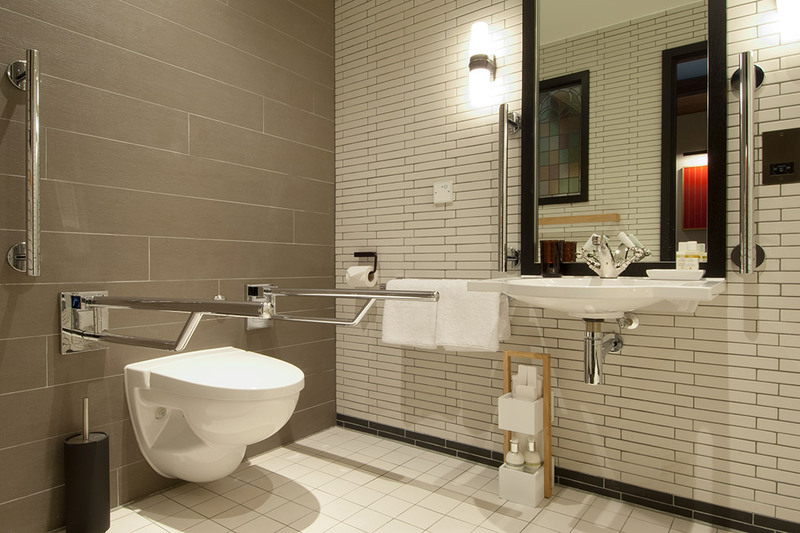 When mobility is an issue, ensure that you make wise choices of hotels. Make room reservations early at hotels that are located in the city center and near the major sights that you have on your list to explore. Remember, that you are competing with the rest of the people who have disabilities from around the world for a handful of rooms at that particular location. The longer you delay making reservations, the farther will be the location you will get and you’ll be adding a bus or taxi travel to see the attractions. So, get your room reservations made at the earliest as you plan your trip. 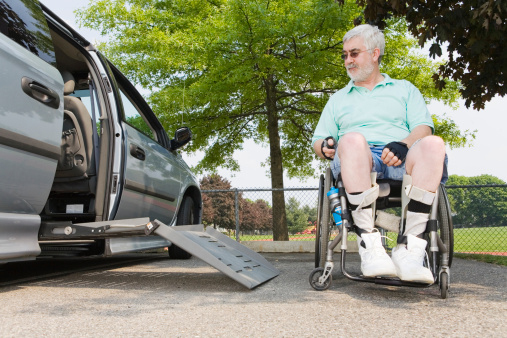 Carrying along the transporting mobility devices usually requires getting around in an accessible vehicle. Hence, find out about whether you can manage to get a taxi that has small ramps built into the floorboards, like in London, to make it easy to commute within the city. Other places may have only a small number of accessible taxis that you might have to book 24 hours or even days in advance. However, it is suggested that you take the subways as at a majority of the places elevators are not available. However, many cities do have accessible city buses with ramps, though. Travel is synonymous with independence and a fixed return gift you get after your travel. Hence, you must understand that it is absolutely OK to ask for help whenever required, even from strangers for the much needed assistance anytime when you are travelling. Not to forget, having a disability makes you resourceful and you learn to adapt to your physical environment. Apart from these 7 important points above, do these essential things given below to ensure you have a smooth trip! • Find out and plan your overall budget before you start to plan. Be realistic. You will be sorry if you don’t get this right at the beginning. • Plan as precisely as you can where you want to go. Prepare a list of places, and then narrow it down by prioritizing. • Write the things that you have mostly been dreaming about or things that interest you. These could be seeing The Great Wall of China or a sunrise over Ayers Rock. Anything for that matter. • Do not over plan your itinerary. Being out of your usual environment, having to adjust to new circumstances is quite fatiguing just by itself. • Last but not the least is that don’t overestimate your stamina. Use MyTripKarma to plan your next trip – a one-stop-solution to all your travel needs, allowing you to plan and book all your trips with the rich content and the best travel deals from around the world under one roof! Aakriti Singh is a jolly girl who loves to be described as a happy go lucky kind of a person. A shopaholic by heart and old school in nature, Aakriti is one girl who can spend an entire day talking to people and traveling. Listening to songs, dancing her heart out and meeting new people are a few things she loves. Although workaholic, she is good at managing time to make some time for her own self, family and friends. She also likes to write for herself about her personal experiences & opinions and publish them online.